Well, it’s Oct. 14, and I wasn’t able to come to the reunion, but I was there in spirit. I’m plenty healthy, blessed with it like Dave Thatcher, but have to say that Clark Grundler has way more courage than Dave and I combined. As usual, as president, I am proud of the class of ’62 with our usual winning attendance numbers. I for sure missed seeing smiling Joe Knee, who came to his first reunion in Roanoke to see the sights not the people, but has changed; Jud Spencer, DeDe and Suzie Swannack, and my Vice President Chuck “Schnooki” Ralston. Not all of these were from my class, and there are certainly many others I enjoy. I appreciate the spirit in anyone from any year that enjoys the reunions in spite of the fact that classes seem to keep to themselves while there. I hope the spirit stays alive and that I see you at the next one. I wish you all the best. 9 Oct YOUTUBE VIDEO: MIKE LEAGUE ('56) and KAREN EVERSMEYER Skinner ('58) dancing to "Rock Around The Clock" at the 2010 OHS Reunion in Baltimore: http://www.youtube.com/watch?v=dHNXe37D6-8 . Once all the photos are in, and we get our act together, there'll be a dedicated page full of post-reunion stuff. In the meantime, I thought you all might enjoy this video that was just brought to my attention. 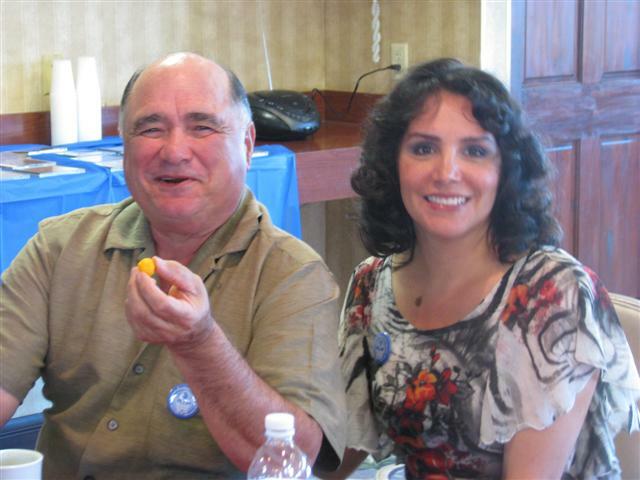 26 Jul UPDATE ON SHANNON ROBERTS ('65): Shannon is running for Congress this year, and is seeking a seat in the US House of Representatives from Florida's 15th Congressional District. You'll find her website at WWW.SHANNONROBERTSFORCONGRESS.COM. "After retiring and coming back to the USA from living in the Slovak Republic I started working again and am now on my 4th new career, all in industry. Retired from Johns Manville (Fiber Glass) while in Slovakia, then James Hardie (Fiber Cement) with plants in FL and Aus. Worked at Guardian Glass Industries (Fiber Glass) for a year as their West Coast Mfg Head and was to start training new plant managers. Then Holcim (large Swiss Cement Co.) Ran plants and also ran all the land based, sea, river cement terminals. 70 of them spread out all over the USA. Now at 61, I started with Boral Industries. Boral is a large Global Australian Co that has a big presence in the USA with 4 divisions. I am now the new VP of Manufacturing/Operations for Boral Roofing Division USA. We make high end clay and concrete tile. Big in the Southwest, Denver, CA, TX and Southeast markets. We are now the biggest roof tile company in the USA. And yes, the economy is coming back. Slowly but it is. I see it in my many travels. I presently have 14 plants spread over the USA to include Mexico and Trinidad. In addition to MFG, I also have all of Supply chain, Engineering, Quality and Process. We are currently building/finishing a new plant in CA as we are getting ready for the future. I am very lucky to still be working. Can't really retire. Not ready for it yet. Still feel like I have too much to see and do. Don't know what I want to do when I grow up. Over the last 5+ years over 1.5 million flight miles all over the place. Still going back to Orleans, Paris and where I was born in Liege, Belgium almost yearly. With the new job, it may be a bit difficult to go back this year but certainly at the beginning of next. Take care........and hope everyone has a great reunion." 16 Jun UPDATE ON DAVID DEPAUW ('65): I retired from Bitburg Middle School as a guidance counselor three years ago this month. Before that, I worked at Bitburg High School for one year, Wurzburg High School for eighteen years, and Sembach Middle School for eight years. I retired with a total of 32 years of Federal service. Before becoming a guidance counselor, I taught English, US History (regular and AP), Psychology (regular and AP), a practical law class called, "Street Law", Anthropology, Geography, and Art History. I have a bachelor's degree, and three master's degrees. A lifetime student. My wife still teaches at Bitburg HS, where our daughter will be a Senior next year. 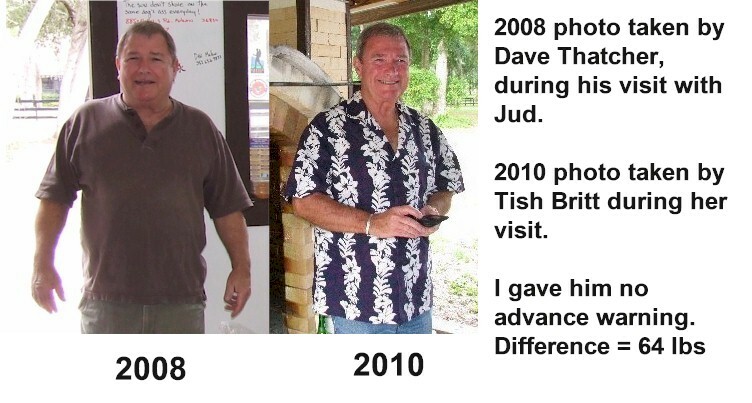 4 Jun UPDATE ON JUD SPENCE ('63): Here's a good example of what determination can do for you. 27 May NEW EMAIL: LINDA BERNARDO McDonough ('69): LADUNNA@GMAIL.COM . Linda is married and lives in Edgwood, Maryland. She teaches science at Aberdeen High School. 15 May NEW FIND: ALTHEA PYLE Sowers ('62) married and living in Temple, Texas. I married Dan in 1963 and we had 3 children. Daniel was in the army and we lived in Japan, Germany and Italy. When Dan retired from the army in 1976 we lived in Somerset PA. where he went back to school and got his LVN licence. In 1981 when we moved to Temple TX. I went to school and became a NA. We both worked at Scott & White Hospital. Until my mother got sick in 1985 and I had to stay home to take care of her. She lived for 15 years. Dan retired in 1995 from Scott & White. Dan Likes to make tank, ship and airplane modles. I have been looking into our family history. I am on facebook if any wants to get into contact my email is dsowers2@hot.rr.com. My life in a nutshell...we moved to Orlean in 1957 and left in 1960. During that time my most memorable moments include setting the school record in sit-ups 852; I was shooting for 1,000 but Coach Friedman stopped me because gym class was over. Also, winning the batting crown in baseball with a .444 average in 1959 and getting a hit off the late Rick Negretti the one time I got to face him, and falling in love with Donna Chamberlin. 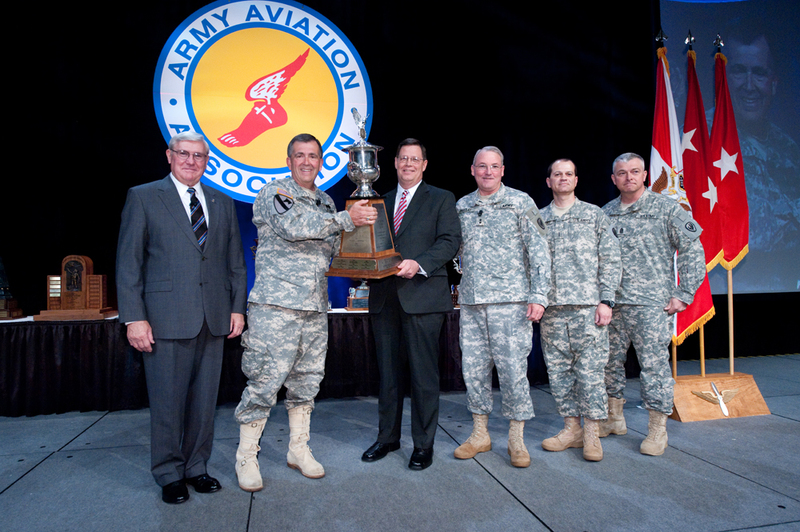 The award is presented annually by the Army Aviation Association of America (Quad-A) to a Department of the Army Civilian selected from across the Army who is supporting Army Aviation. I just happened to have a boss who is a good writer. I got credit for the great work that all the folks at USAALS do and I am humbled. We train all the Army's helicopter maintenance personnel from private through Warrant Officer. And all the USAF UH-60 Blackhawk mechanics. We have an annual student load of ~ 6000 with a daily student population right at 2000 Soldiers. My job is to run the school and enable my boss to command it. It just so happens that I am sitting in the same office that was my Dad's (COL. Harry L. Jones) when he was Director of what was then the Aircraft Maintenance Training Department of the Transportation School in 1970. So it is sort of a family affair. I have attached the write up that appeared in Army Aviation Magazine and the "official" photo of the Vice Chief of Staff doing the presentation. I also attached a photo of my wife, Sara with COL Bruce Crandall the Army Aviator who flew support to the 7th Cav in the pitched battle in Ia Drang Valley, RVN Nov 1965 ( In the Mel Gibson movie "We Were Soldiers", he was the unit commander, "Snake"). He was awarded the Medal of Honor 40 years later! What a hero and gentleman and a lot of fun. 26 Mar RANDY "BUDDY" POWELL ('70): added his professional website link, www.buddypowell.com, to the "Individual Alumni Sites" webpage. Does he look familier? It's been a long time since I've communicated here on the website. Along with this update, I'm including an updated photo of Ralph and I taken on a Normandy beach in France - could you replace it with the one you have on the class page? We spent five weeks in Europe in the summer of 2008. We'll be returning to Europe next month with a group of 14 high school students (members of my French Club) - it will be a 10 day tour of Paris and London. The students I'm taking are from rural New Mexico- and most have never traveled out of this region so for them it will be an amazing adventure! This year, after 37 years of teaching, I will finally be joining the world of retirees (including that of my husband, who is a U.S. Dept of Energy retiree since 2007). My retirement from the New Mexico Education Retirement system in December will be my second, after having already retired from the Texas system in 2004. Plans to travel are first and foremost in our life as retirees. Besides overseas traveling, Ralph and I will be taking off on RV adventures all over this beautiful country of ours! We both share a wanderlust spirit (mine from having been an Army brat for so long!). Last February, my six siblings, Mom and I all said our final farewell to our Dad (Arthur C. Stafford, MSgt-ret). In fact, tomorrow it will be exactly one year since Dad passed away. He had been a 30 year veteran of three wars, having served in WWII, Korea and VietNam. In France, we were stationed in Verdun, Chinon (went to HS in Poitiers) and Orleans. Thanks to Facebook, I've been able to re-connect with an amazing number of family and friends - I recommend it anyone who have not yet joined FB! I've been able to reconnect with classmates from the many schools I attended throughout my life as a military brat including my OHS classmates - thanks especially to the Orleans group FB site initiated by Gregg Steinwand! I'm also involved in a WSMR KIDS REUNION group (White Sands Missile Range, a fairly isolated base in southern NM). It was during our tour in WSMR in 1959-60 that Dad and Mom decided to retire in the Southwest, and where I, too, have my made my home. I also hope to become more involved with the OHS reunions after retirement! I have been able to experience them vicariously thanks to the many stories, photos, etc my good friend Dianne Rollegg has shared with me. My best to you, Dave, and all the ex-OHS'ers!